Clopton High School held homecoming activities last week culminating with the junior varsity and varsity boy’s games against North Callaway on Friday night. Coronation was held between games. 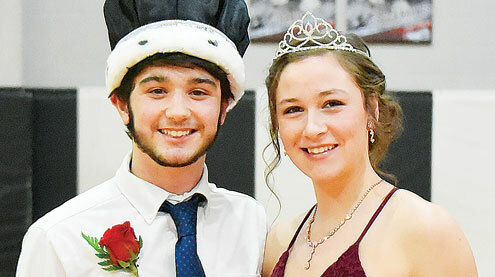 Peyton Sambo and Jillian Lockard were crowned king and queen. Find court and game photos on page 8 of this week’s print edition of The People’s Tribune.